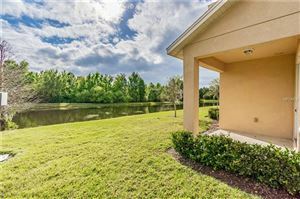 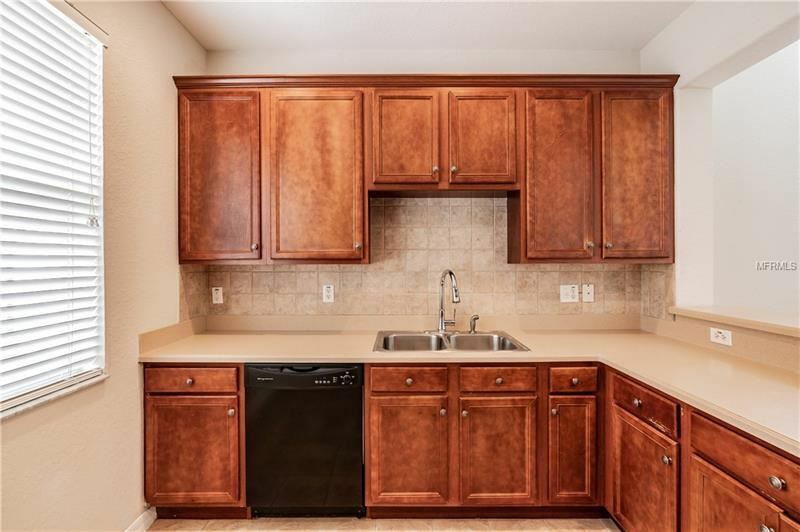 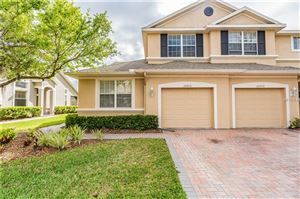 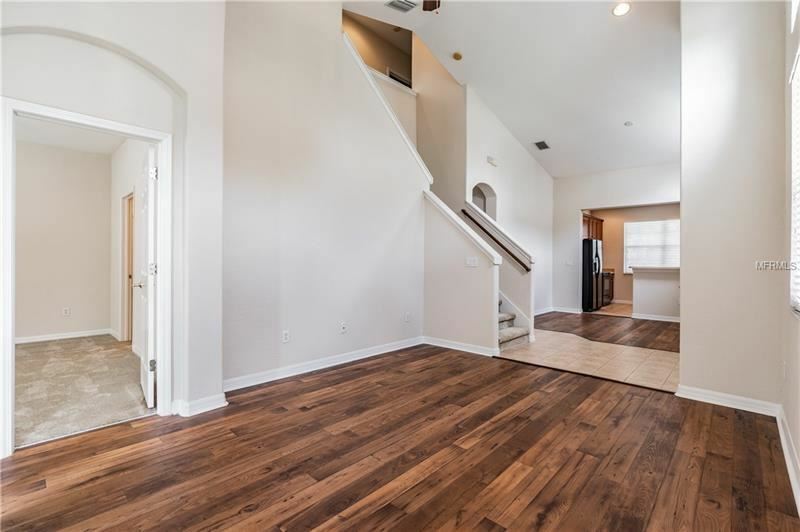 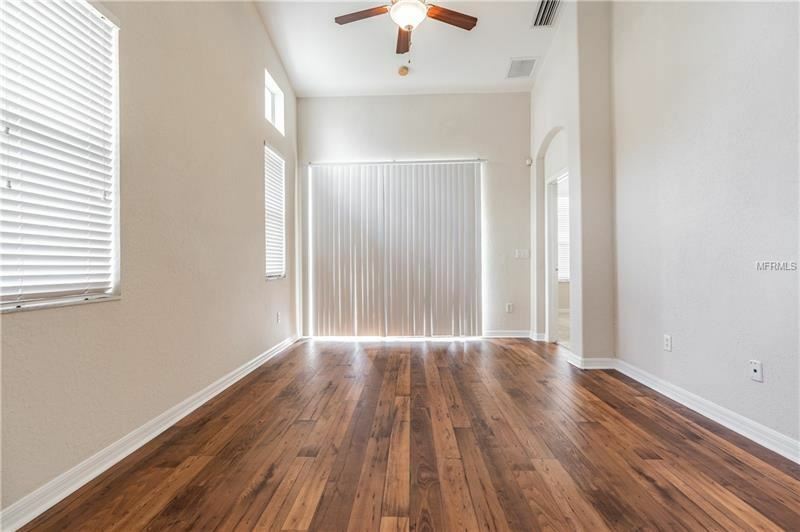 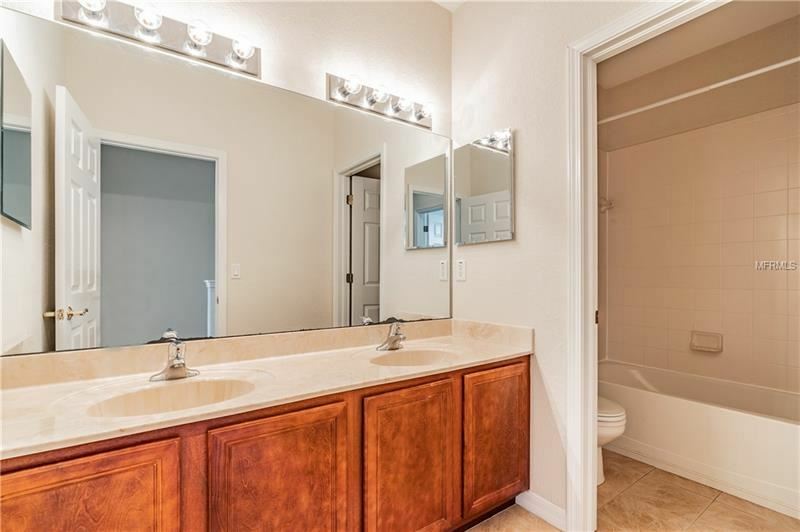 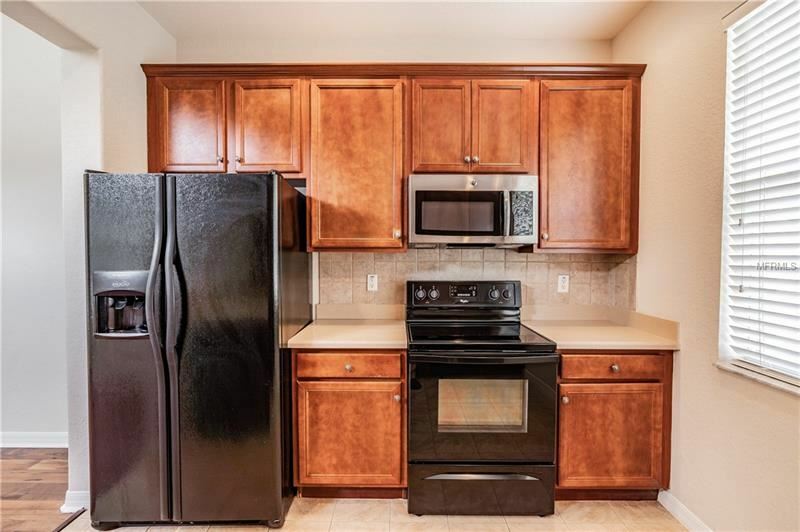 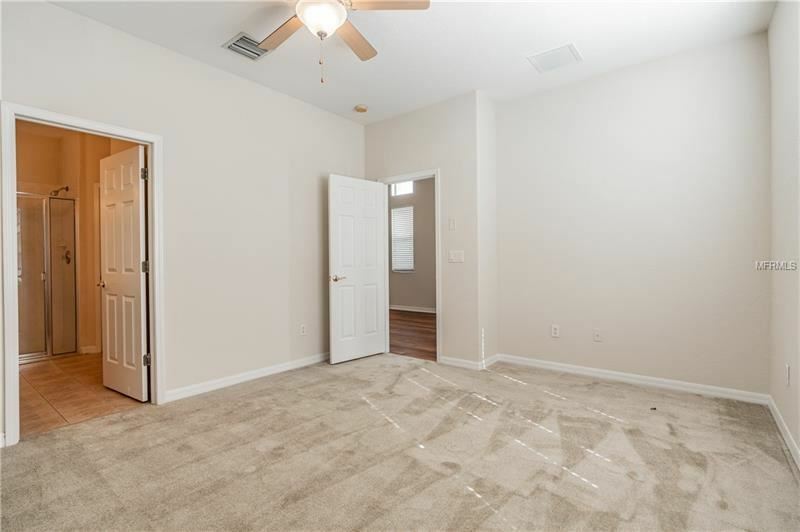 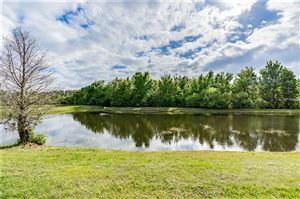 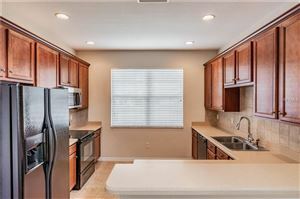 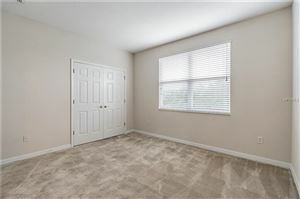 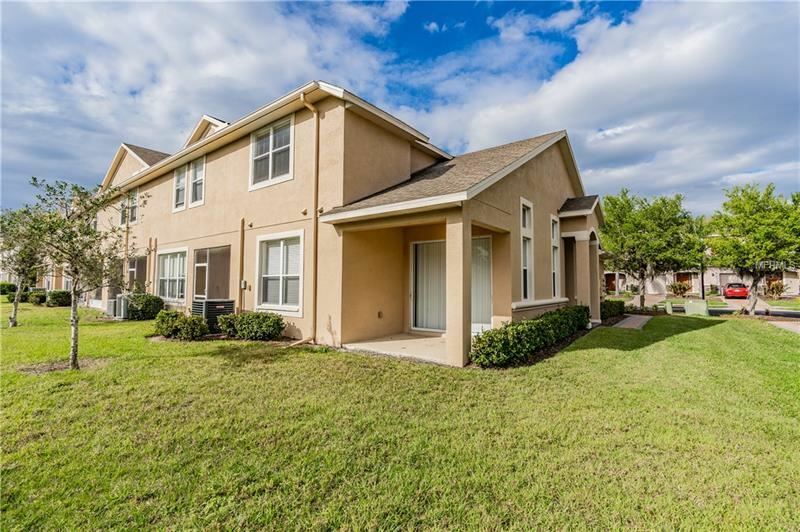 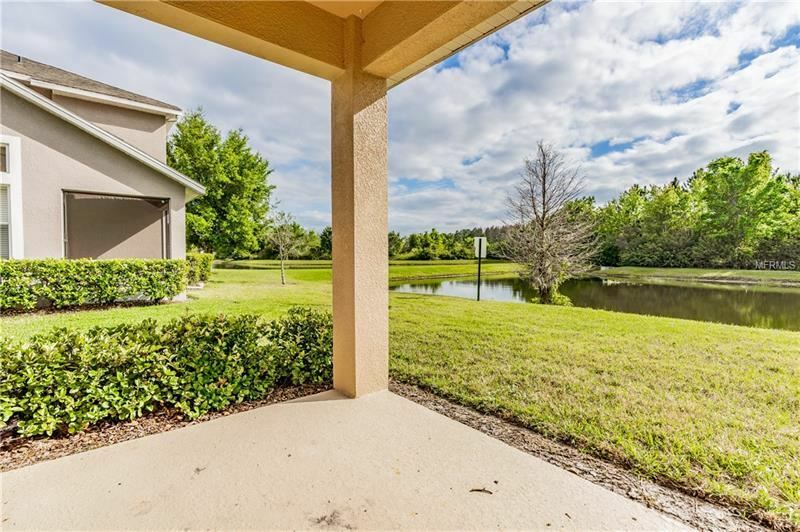 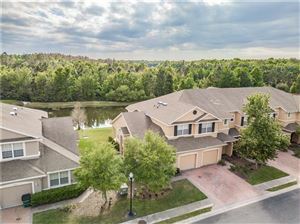 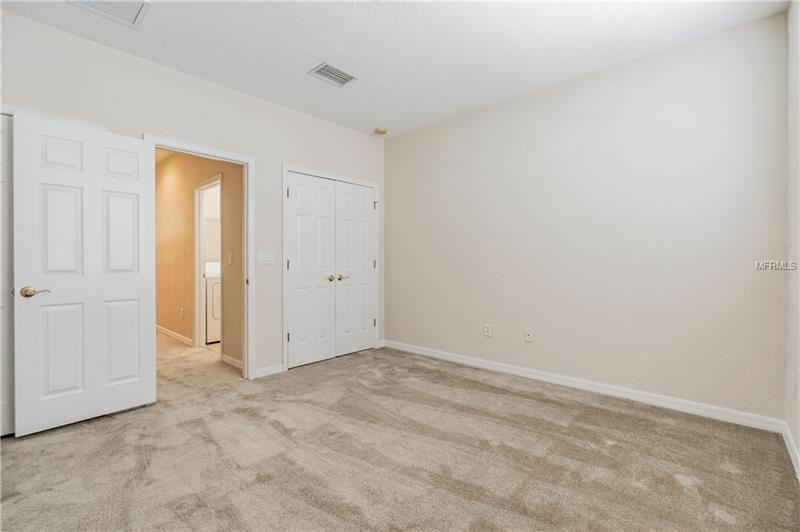 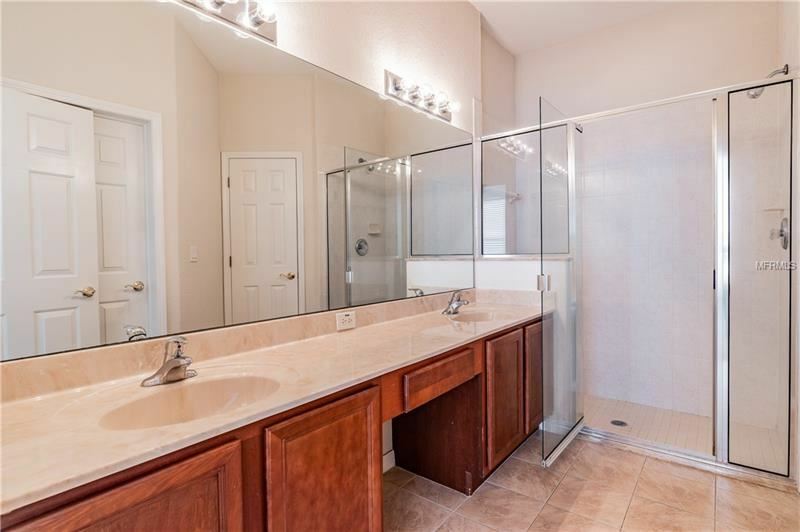 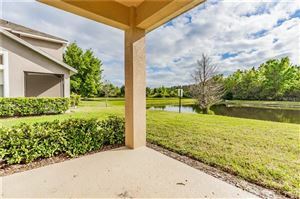 Beautiful 2 story end-unit townhome in gated Lakeside at Seven Oaks with 3 bedrooms and 2.5 bathrooms and a one car garage on a POND with NO REAR NEIGHBORS! 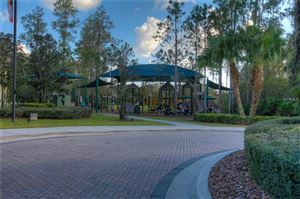 Paver-lined driveway and walkway. 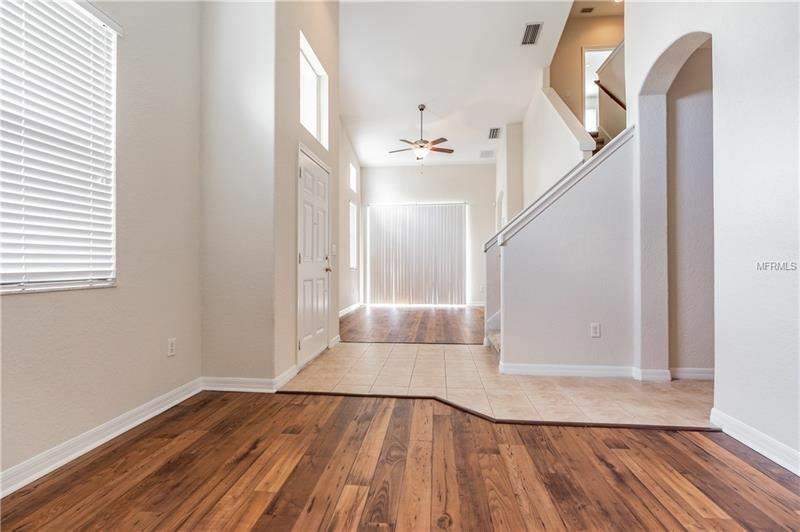 Downstairs layout includes high ceilings, Great Room open to the Kitchen, half bathroom, sliders out to the covered lanai, and FIRST FLOOR MASTER SUITE! 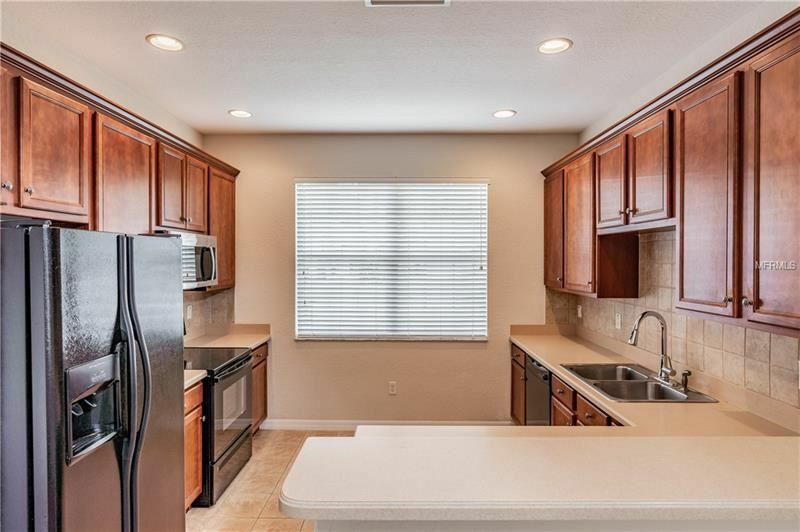 Kitchen features Corian Counters, 42" Wood Cabinets with Crown Molding. 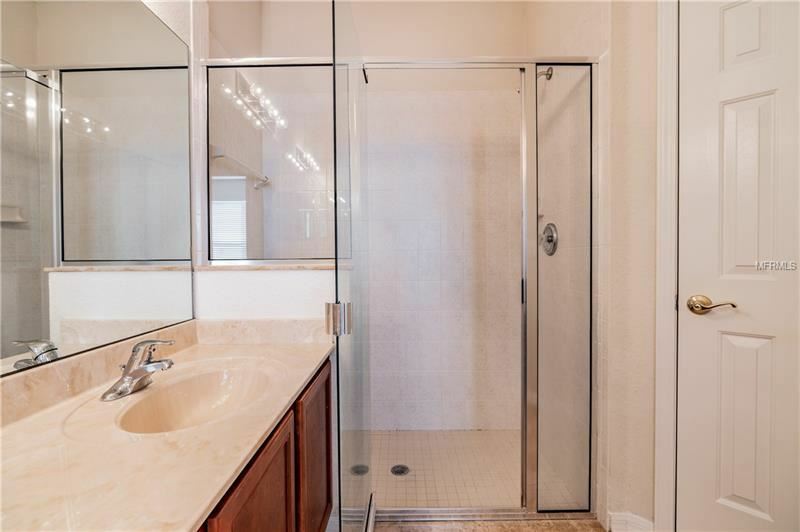 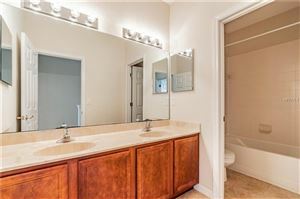 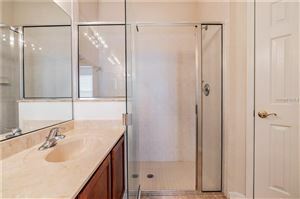 Master Suite has large walk-in closet and Master Bath features a spacious shower and Dual Sinks. 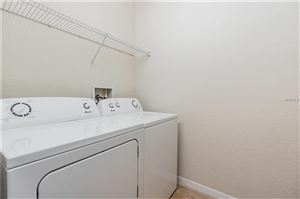 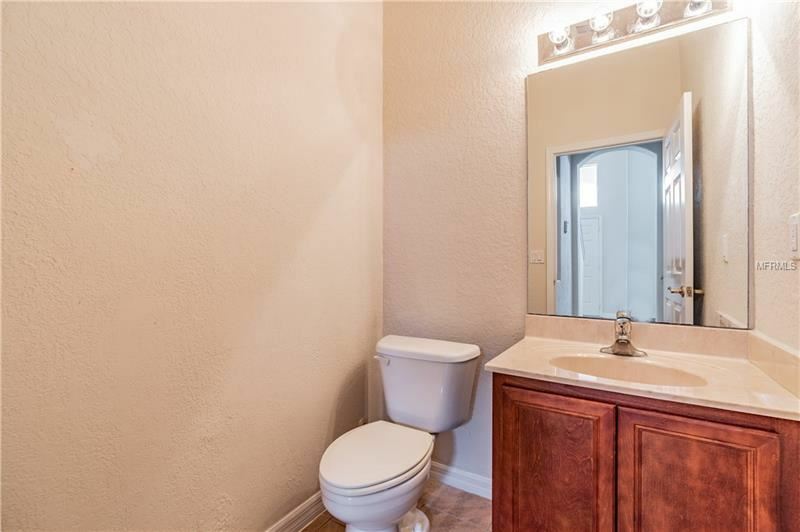 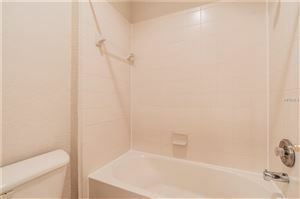 Head upstairs to find the other two bedrooms, second bath and laundry room complete with Washer and Dryer. 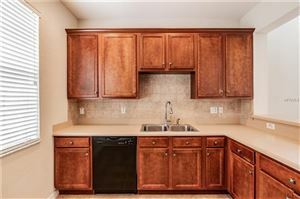 Great opportunity to live in Seven Oaks or rent it out! 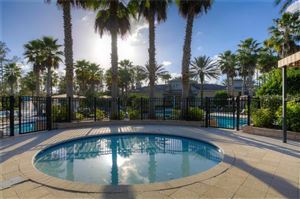 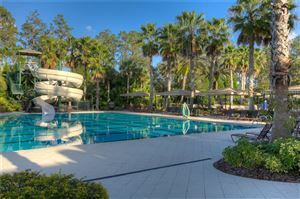 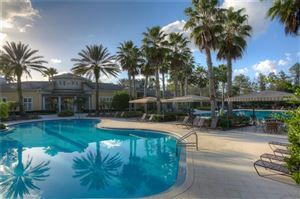 Centrally located near the best shopping, dining, entertainment & medical facilities Wesley Chapel has to offer. 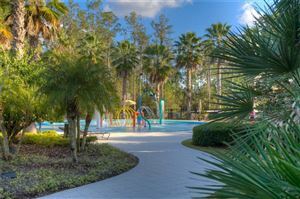 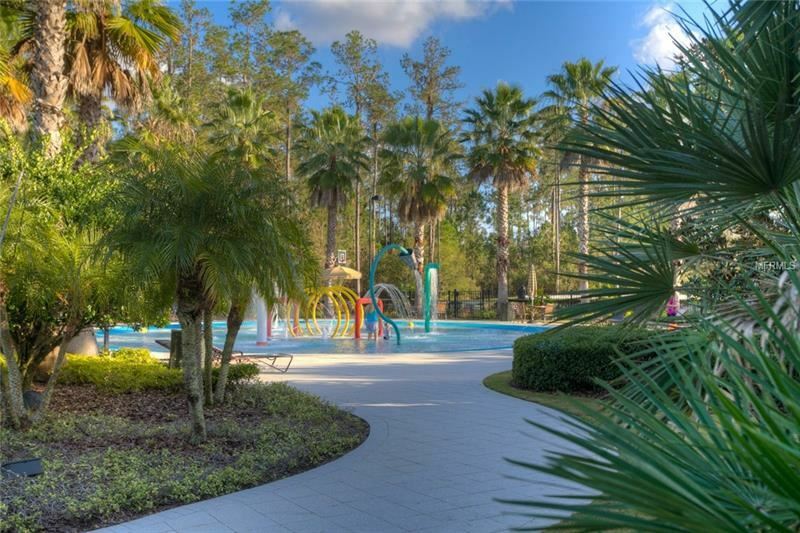 Seven Oaks features a clubhouse, pool with slide, splash park, Jr. Olympic size pool, cafe, Har-clay tennis courts, sand volleyball, basketball court, soccer field, nature trails, playgrounds, movie theater, gym & aerobics room. 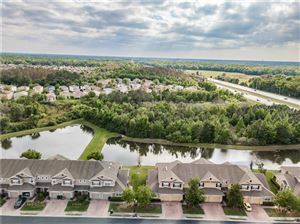 HOA fees cover water, sewer, trash, pest control, exterior maintenance and shingles. 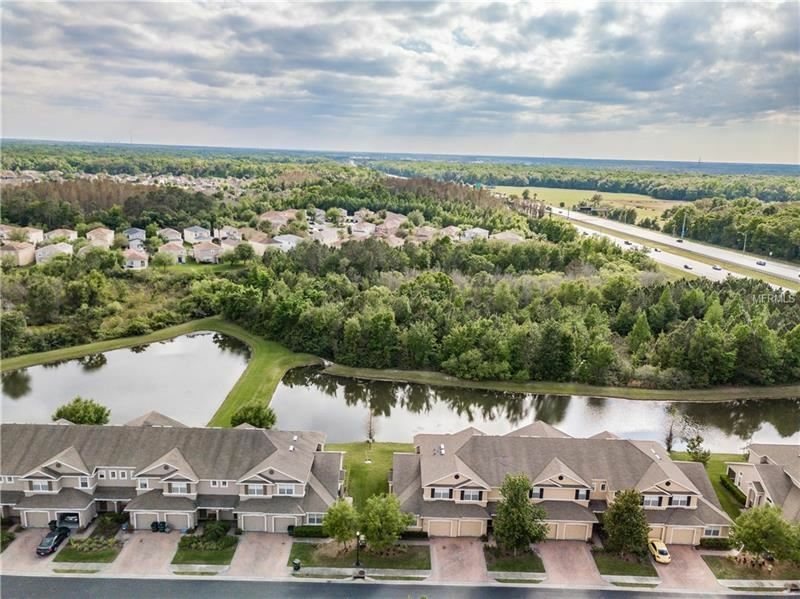 From SR 56 head north on Ancient Oaks Blvd, at traffic circle take second exit to stay on Ancient Oaks Blvd, at second traffic circle take second exit onto Juniper Bay Dr, through gate then unit will be on the left. 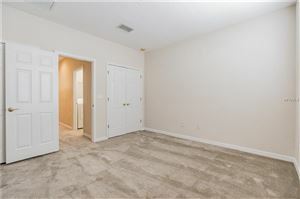 The approximate monthly Principal & Interest payment for this property would be $1,119. 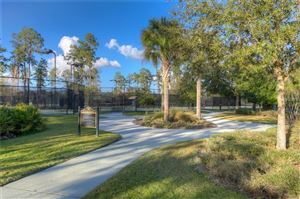 This payment is based on a 30-year loan at a fixed rate of 4.12 % with a down payment of $19,000. Actual lender interest rates and loan programs may vary.